The presented room availability, rates and discounts are actual and final for all our 179 hotels in Locarno. 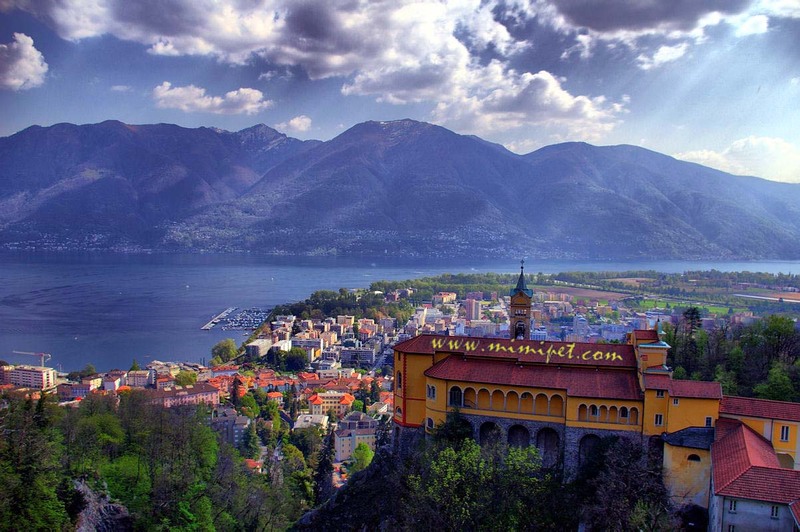 Locarno is a city located on the shore of Lake Maggiore at the foot of the Alpine ridge. The second name of this place is "City of Peace." Locarno got this name after the international agreement about peace had been signed here in 1925. Another reason for this name is in the fact Locarno is a magnificent lakeside recreation area full of beautiful subtropical parks. International Film Festival traditionally takes place in the huge central square of the city. This is one of the most important and famous festivals throughout Europe. The architecture of Locarno is mostly represented by the Italian style. This fact is particularly evident in the Piedmont region with its stone walls and roofs. While having rest in Locarno, tourists should definitely visit art galleries, attend the church of Madonna del Sasso and not to forget about the magnificent antique curiosities of the city. 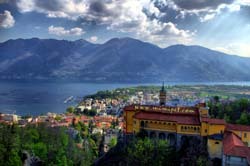 Locarno is a truly harmonious city that is simply ideal for a cozy and pleasant vacation. While walking on the streets of the city you can try food in numerous outdoor restaurants and cafes, visit magnificent gardens of Locarno full of blooming camellias and magnolias, climb up the hill using a funicular road and have some rest in a summer house located there. Finally, you can visit picturesque suburbs of the city and walk near the lake. Be sure to visit the neighbor town of Locarno, Melide, as this is the location of the ‘Switzerland in miniature’ Park, which features various attractions of Switzerland in 1:25 scale. This is a truly spectacular view!